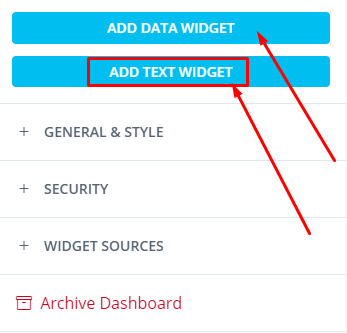 What is Add Text Widget section? 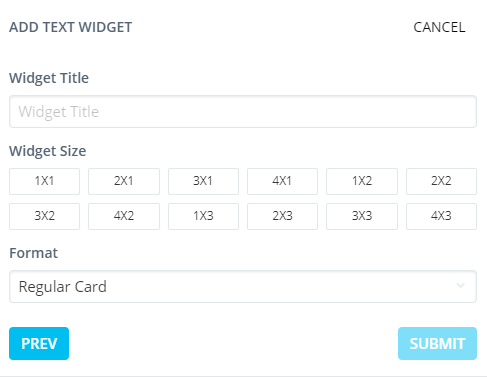 When creating a widget, you can either create a DATA widget, or a TEXT widget. 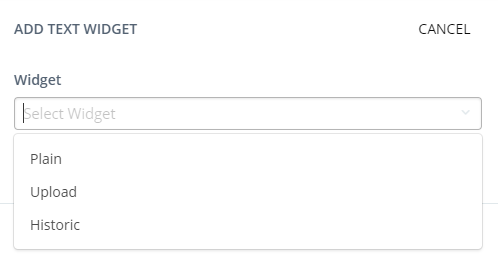 It is a plain text widget where you can write your own custom text and give it a custom title. 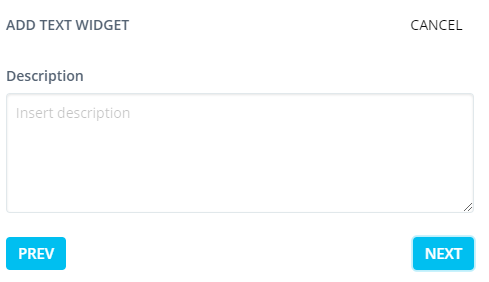 You can use this to explain something in your report, add personal message to your client, add subtitle to your report, etc. 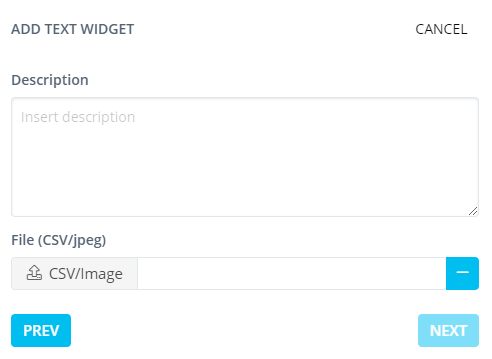 You can use Plain Widget to add full width separator . 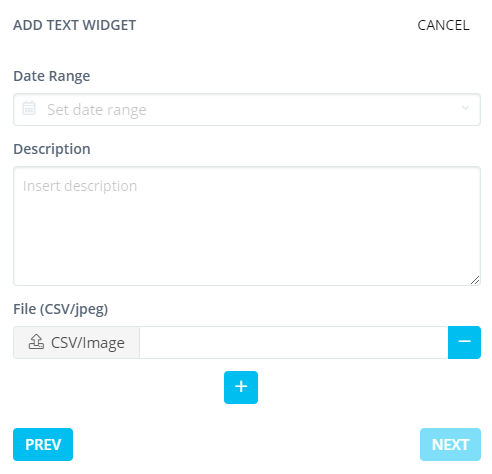 Is also an upload CSV/Image file type of widget, but here you can also select the date range for which that data is for.